If you’re heading to NCCE this year, I hope to see you there. I’m leading a Scratch workshop Wednesday morning, so whether you’re there with me or not, I’d like to share some great Scratch resources with you. ScratchEd | scratched.media.mit.edu – A resource rich directory of Scratch lessons, tools, and ideas. Definitely the first place to go when looking to bring Scratch into your classroom. Scratch Wiki | wiki.scratch.mit.edu/wiki - A wealth of documentation and tutorials. When a students asks a question I can’t answer, we head straight to the wiki. Scratch Forums | scratch.mit.edu/discuss – When you can’t find the answers anywhere else, head to the forums and ask the experts. Scratch Resources | resources.scratchr.org – General Scratch resources. Getting Started Guide | A brief and color PDF that walks you through creating a simple animation. Video Tutorials - These videos are quick and simple, great for visual learners. Curriculum Guide – A comprehensive curriculum to teach computational thinking through Scratch. Creative Computing Class – 6 week online course for educators. Since last I’ve blogged here my classroom has undergone some significant and amazing changes. This year I was fortunate to start up two new courses, Robotics Foundations and Computer Science & Design. With these courses added to my schedule I’m now out of the ELA world entirely, and while there’s much that I miss about teaching ELA, this shift has allowed me to focus whole-heartedly on building curriculum for my CTE courses. My initial experiences in Robotics and Computer Science in particular have helped me to codify my beliefs and goals as a CTE instructor – I am a Maker, and my students should become Makers too. I’ve been enamored with and involved in the Maker Movement for nearly a decade now. The Maker Mindset has its roots in the DIY and hobbyist communities, but incorporates elements of cutting edge technology. As computer technology progressed and shrank it became obtuse and mysterious to the uninitiated. If you can’t see how something works, how can you expect to fix, replicate, or augment it. Adopting the Maker Mindset empowers students to challenge the technology that surrounds them every day. As I’ve progressed through developing my new classes, I’ve grown to think myself as a teacher of the Maker Mindset, rather than a teacher of technology. In this context the languages and technology that my students learn become ancillary, simply a way to express the power and importance of Making. The shift from student to Maker is a shift from follower to leader, from consumer to creator. This shift reflects the constructivst role I’ve always encouraged my students to take, but with a context that is both appealing and engaging to young minds. I knew when I got my approval to start up my Computer Science & Design course that I wanted the Arduino to be a core component. If you’re not familiar, the Arduino is a small microprocessor board with several analog and digital inputs and outputs. It is programmed with a C++ based language that helpfully abstracts away much of the complexities of working with hardware. That is to say, it makes programming physically interactive objects dead simple. The Arduino takes hardware, ostensibly the most mysterious and intimidating element of Computer Science, and makes it accessible to even the greenest of beginners. When it comes to learning to program, the potential to control something physical holds a certain mystique. Making a simple LED blink is much more exciting for my students than printing out hello world. Jumping the gap from digital to physical seems magical, and with the Arduino that magic is in the hands of the students. Furthermore, the Arduino is mainstay in the Maker’s toolkit, ensuring a rich supply of resources and inspiration to help students develop their ideas. There are plenty of languages and platforms I could use to teach programming skills (and I’ve tried my fair share), but introducing my students to the Arduino encourages them to think as Makers, instead of as students. With the SparkFun Inventors Kit in hand my students have hacked RC cars, built Jeopardy buzzers, crafted interactive digital art, and more. 3D printing was an unexpected yet welcome addition to my Computer Science curriculum. When I found myself with unfettered access to a Makerbot Replicator 2 in my classroom, I let my students loose with it. As with the Arduino, my use of the printer in my class isn’t about the specific technology, but about the ways it can empower a student to become a Maker. I think back to my introductory CAD class in college, and while I enjoyed the content, there was always a lingering disappointment that my designs never came off the screen. I can’t imaging what I would have created had my instruction in drafting been tied to Making something real, tangible, and potentially useful. With minimal CAD instruction and only a week to work, every one of my Computer Science students was able to design something to be printed. Many were simple trinkets, some were toys, and a scant few were truly useful objects, but every student was able to design from scratch something that could transcend from the digital to the physical realm. As with programming the Arduino, the power of the tool is its ability to bridge the digital and the physical, to allow students with little experience to Make. My only complaint is that I’ve got 150 students and only one printer, but I’m looking to solve that one soon enough (or rather my students will, when they build their own 3D printers next year). Now that I’ve realized that I’m making Makers, I’ve started reevaluating how and why I teach every unit in all of my classes. I’m excited to attend the upcoming Seattle Mini Maker Faire with my students in mind. If you’re teaching with the Maker in mind, I’d love to hear from you and swap ideas! The last of my 3 part interview with Chris Haskell is up at the Cool Teacher Podcast. Check it out. Looks like I missed the memo, but the second part of my Cool Teacher Podcast interview with Chris Haskell went up a few weeks ago. Check out our discussion on the first steps for teachers interested in classroom gaming. I recently had the chance to chat with Chris Haskell from 3D Game Lab for his Cool Teachers Podcast. Check it out! I love getting the chance to chat with like-minded educators at conferences, and since I left NCCE last week I’ve been processing all of the great discussions and ideas. At the conference I presented about some of the classroom gaming I’ve been doing, but I also got so see a few other presentations on similar topics. It’s clear to me from the discussions I had after these sessions that the concept of gaming in education makes sense to a lot of educators, but often the parallels between gaming and learning are not immediately obvious, particularly when trying to make the argument for classroom gaming to school leadership. To help other educators understand and articulate the value of gaming in the classroom (both through gamification and playing games) I thought I’d write a few articles to focus on some specific benefits of gaming. My hope is that you can use these as discussion starters in your schools and districts to help get the gaming ball rolling. Given my track record of updates to this blog (read: I’m bad at updates), I don’t know how many of these I’ll do. Baby steps. One of the prime reasons that we play and enjoy games is the constraints of their structured rules. It may seem counterintuitive to say that rules are fun, but rules provide players a framework within which they can strive for success. No rules means there’s nothing to challenge your progress. No challenge means no sense of achievement. In other words, we need rules and constraints for our successes to have any meaning. So why do the rules of a game produce an enjoyable and engaging experience that encourages progress, while the rules of school often produce a de-motivational experience that shuts down student progress? It all comes down to the perceived potential for success. One of the core elements of my in-progress DIY classroom gamification suite is Badges (or Achievements, depending on your chosen terminology). Lately badges have gained wider acceptance as a tool not only to motivate learners, but also to display and acknowledge specific, validated skills. Instead of simply a letter grade to show some broad measure of success or achievement, badges provide students with a tangible record of their achievements – sort of like an educational resume. While several e-learning sites have implemented badges (I just earned one from Codeschool.com for taking their Try Git course), most of those badges get stuck on the issuing site. My students use several such sites to learn various skills, and it does me no good if their badges are scattered across the internet, isolated from each other. If I’m going to use badges as evidence of learning and support for grades in my classes, then I need a them to live in a single comprehensive repository, somewhere that allows students to collect badges from a variety of sources and present them as a cohesive whole. In other words, I need digital sashes on which my students can sew their virtual merit badges. To that end, Mozilla has created the Open Badges Initiative. With support from the MacArthur Foundation, Mozilla is building a central badge backpack, where badges from a variety of issuers can be collected, verified, and displayed. Sites that are registered as badge issuers can then allow users to push any earned badges to their backpack, where it can be displayed along with other badges from other sites. The Open Badges Initiative is still in beta, but I’m hopeful that in time sites like Edmodo, Code Academy, and Gamestar Mechanic will get on board. Recognition for informal and outside learning is a core element of my approach to gaming my classes, and the Open Badges Initiative might give me an easy and effective way to award students credit for the work they do inside and outside of school. My next step is figuring out how to get my Drupal Classroom Gaming project (man, I need a better name for that) tied in with Open Badges. My most recent hopeful find is the Open Badge-It sandbox module, but I’ve yet to get it working quite right. I’m now well into the third run of my gamified Computer Tech elective, (have I really never posted about that? Bad blogger!) and I’ve reached the point where I really can’t continue without some a system to automate many of the more time-consuming administrative tasks. By design, my class allows for a wide variety of student choice in regards to both what they want to learn and how they want to demonstrate their learning. In one semester I cover everything from computer hardware to multimedia design to programming and game design, and with such a broad range of topics, we can’t delve terribly deeply as a whole class. In this system there are certain core lessons and assignments that are mandatory for everyone to ensure all students have a basic understanding, but when it comes to the in-depth learning, I want each student to choose what they want to learn within the scope of a given area of study. This requires that I have prepared a wide variety of materials, lessons, and assignments. More importantly, it requires that I have some sane and efficient method of presenting all of that stuff to each individual student as they progress through their chosen path. Oh, and somehow I have to equitably assess all of that variety and make it fit into a standard gradebook. 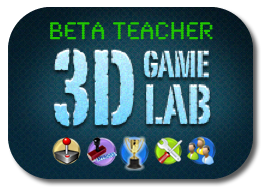 Having looked in to the few existing educational gamification systems out there, the only one I’ve found that meets most of my requirements is 3D Game Lab. While 3D Game Lab looks great, it’s not yet openly available, and even if I got in on the beta, I would be limited to 60 students. I need something that I can use with all of my students, and I need it yesterday! Enter Drupal. Course module for individual quest paths. By creating my quests as mini courses, I should be able to manage student progress through their quests, allowing for both automated and teacher-initiated progression, as necessary. Signups can be either closely managed with codes, or left open. Organic Groups module for classes. This should allow me to create an manage class groups easily. I could also use Organic Groups for smaller quests or individual projects, when a Course might be overkill. User Points and its related modules for XP. Highly configurable and automatable, with User Points I can hopefully finally set up an XP system that works without excessive teacher involvement. User Points XP will correlate to student grade, and will be used to Level Up, unlocking new challenges, badges, and achievements. Certify or Certificate modules for major Achievements. One of these will provide students with Achievement certificates upon major quest completion. I like the progress tracking element of Certify, but I’m struggling to get pdftk set up on my shared server. Views module for grading reports (among other views-tastic uses). To be honest, I haven’t really fleshed this one out too much. I think it will take a bit of use to figure out just what I need out of reporting, but I’m sure between Views and ” Panels, I can get it done. I’ve got a lot of work ahead of me, but I hope that I’ll come out with something that will both ease my administrative burden while allowing for an even greater amount of student choice and independence within my classes. I’m eager to see where this takes me, and if any of you out there are interested (either on the education or the Drupal side) please contact me. I’d love for this work to make an impact beyond my own little classroom. The 50 best videos for teachers interested in gamification (via edudemic.com). Scratch Resources is licensed by Ed Stuck in the Cloud under a Creative Commons Attribution-Noncommercial-Share Alike 3.0 United States License.